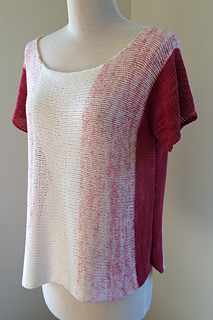 This top is knit side-to-side in color block style with the Baby Gradient kit from Feza yarns. 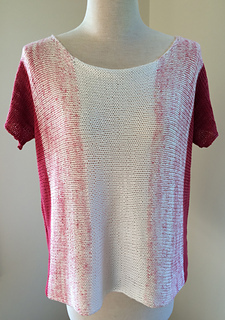 Only seaming required is underarm and side seam. 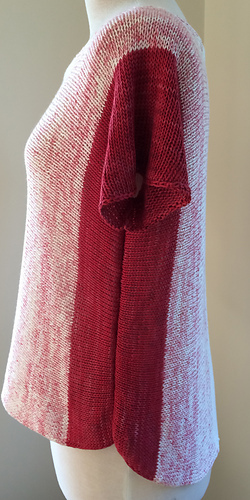 Knit cuff to cuff with shirt-tail shaping. High / low hemline with longer back than front. Sizes XS (S, M, L, 1X, 2X, 3X). Sample knit is small size. Size US6 (4.0mm) circular knitting needles or size to obtain gauge.